Education and training are central to the achievement of the 2030 Agenda for Sustainable Development. UNESCO’s Strategy for Technical and Vocational Education and Training (TVET) aims to support the efforts of Member States to contribute to the transition towards sustainable societies and economies. The vision stresses the right to education, the principles of equity, inclusiveness, and quality and the importance of lifelong learning. 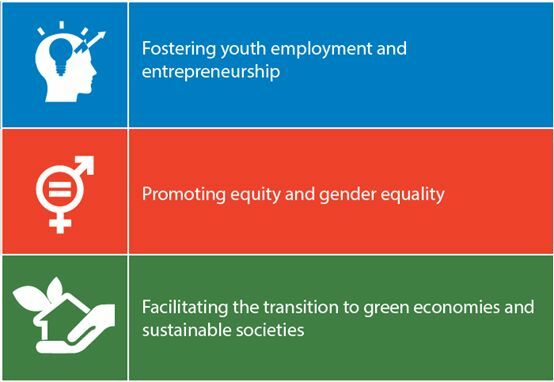 TVET is concerned with the acquisition of knowledge and skills for the world of work, and is expected to help youth and adults develop the skills they need for employment, decent work and entrepreneurship, promoting equitable, inclusive and sustainable economic growth, and supporting transitions to green economies and environmental sustainability. 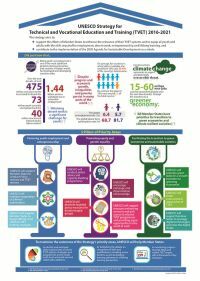 Click on the image to view or print full infographics (pdf). 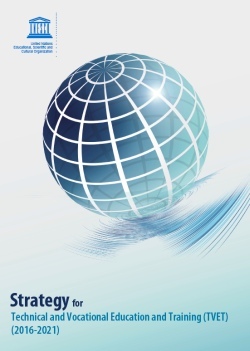 Click on one of the six UN languages to read the Strategy. On the occasion of World Youth Skills Day, the UNESCO Strategy for TVET for 2016-2021 was officially launched in Bonn on 15 July 2016. View the launch speech by David Atchoarena, Director of UNESCO's Division for Policies and Lifelong Learning Systems.